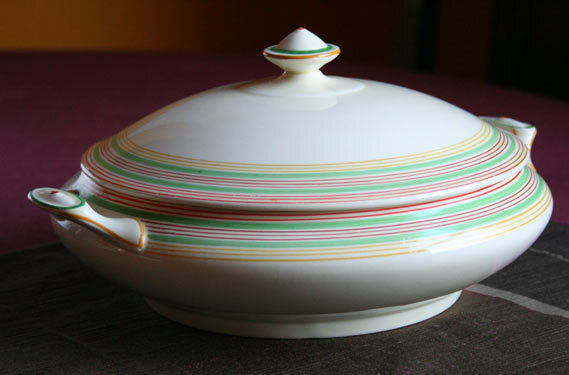 This Art Deco tureen manufactured by Crown Ducal found it’s way into our kitchen from a second hand furniture shop on Mansfield Road, North London. 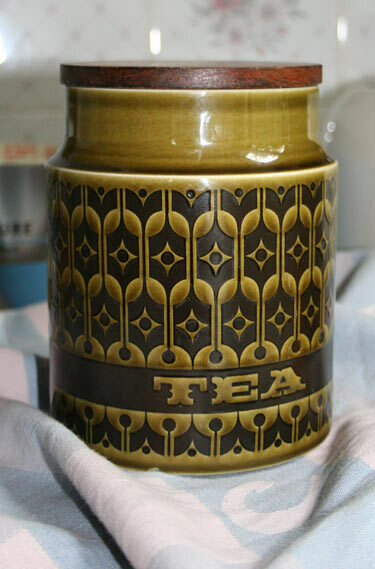 Tea storage jar in ‘Heirloom’ by Hornsea. 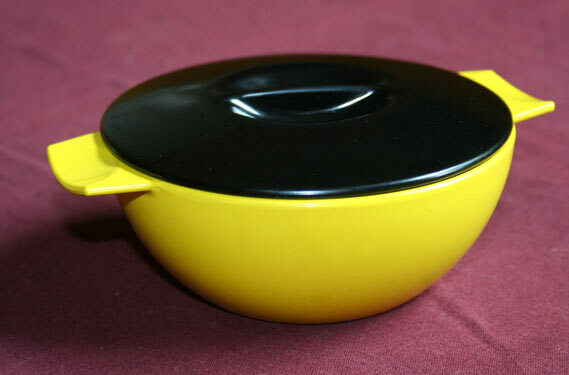 The pattern was designed by John Clappison and produced from 1967 to 1987 in Autumn Brown, Midnight Blue and Lakeland Green. 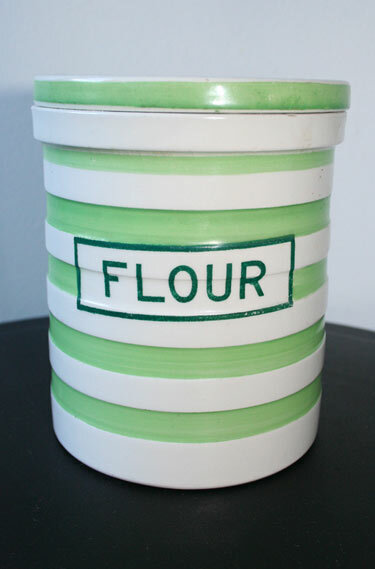 It proved a massive success and for several years ‘Heirloom’ became the mainstay of Hornsea pottery. ‘Heirloom’ is still quite ubiquitous on antique markets and charity shops throughout the UK.